Speedgolf revolutionizes the traditional sport by introducing the element of speed, endurance, quick reaction, and shot creativity into the slowest-paced of all sports. 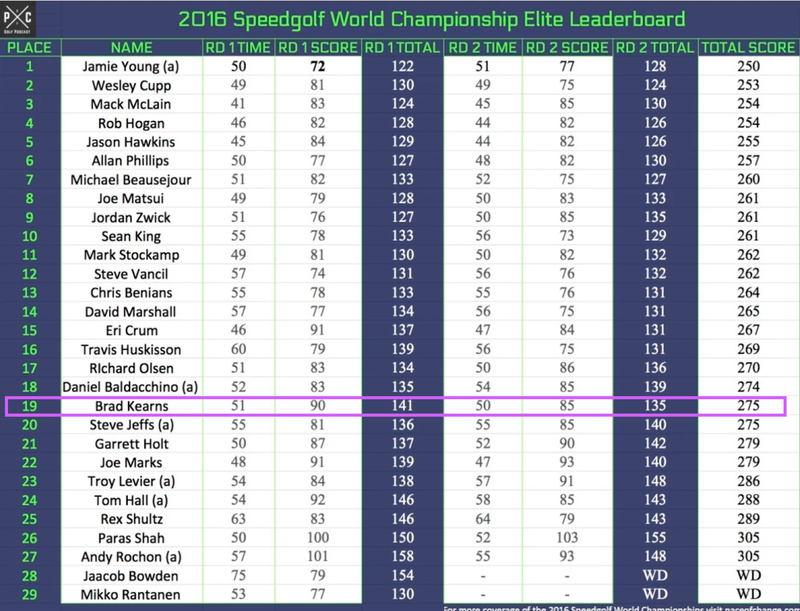 In Speedgolf, your score is comprised of the number of minutes spent on the course plus the number of strokes taken (similar to the winter olympic sport of biathlon - shooting and xc skiing). My first exposure to Speedgolf was when Olympic middle distance runner and recreational golfer Steve Scott set a Guinness World Record for playing a round of golf in 27 minutes, shooting 103 back in the early 80s. In 1985, my mother bet me $50 that I couldn't finish 9 holes in under 30 minutes. I finished the nine in 17 minutes and change and was flabbergasted to notice that I played as good or better than normal golf when I was running full speed through the course--in the zone! Forwarding to 2012 or so and a group based in Oregon (Speed Golf International) brought the sport back big time! Oh man this was exciting for me because I was just returning to golf in 2013 after a 10-year run dominating youth athletes while coaching them in soccer, basketball and track (then they grew up and I was forced into the stands to cheer). I read about and watched great athletes like Christopher Smith and Rob Hogan, and practiced hard for a full year to join the elite players at the 2014 championships in Bandon Dunes. Speedgolf is a great sport because it doesn't take much time to play. I visit courses in the final hour before darkness when there are no other players out there, and zip around 9 holes in 30 or 45 minutes, then return home for dinner!